Worked with Warner Brothers, vendors, and internal partners to promote the movie Winter’s Tale. 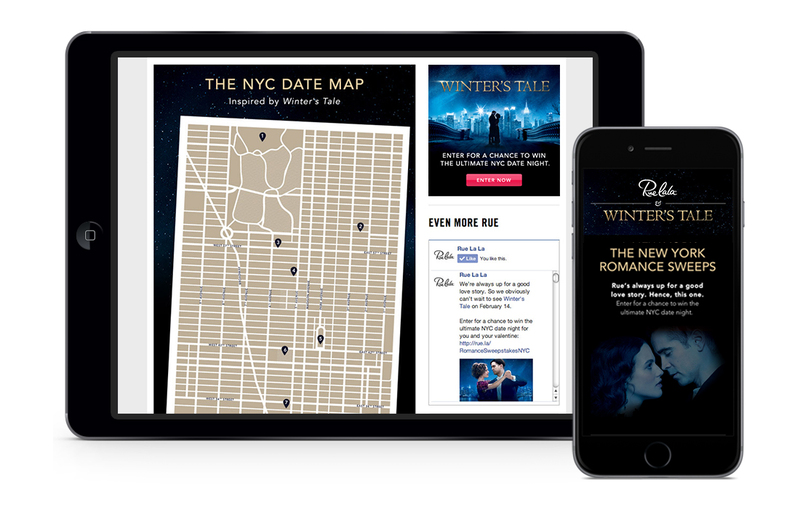 Designed and launched a campaign for Rue’s partnership with Winter’s Tale, featuring a microsite that included a Romantic NYC Dream Date sweepstakes, the trailer for the movie and an interactive map of NYC date spots. Supported the campaign through banner ads, email assets and editorial blog posts.